The healthcare industry is known to have a stable topline and usually attracts income growth investors. But over the last year, shares of Baxter International Inc. (NYSE:BAX) and Becton, Dickinson & Co. (NYSE:BDX) have risen by nearly 25% and 26%, respectively. These companies have not only outperformed their peers, but also carry a solid yield. But despite the recent rally, I think the healthcare industry is still ripe for value picking, but not all companies are worth the risk. Over the last year, shares of C.R. Bard, Inc. (NYSE:BCR) have largely remained flat, but it has been volatile and its prices have fluctuated by nearly 14% during the year. For the recent quarter, C.R. Bard, Inc. (NYSE:BCR) was able to expand its margin by 150 basis points despite its acquisitions. Its SG&A expenses fell by 20 bps, which now stand at 27.9% of total sales, but are still high. Going by the track record of its flat performance and a meager yield of 0.79%, investing in its peers seems like a better strategy. Becton, Dickinson & Co. (NYSE:BDX) is a great healthcare company. Although its shares have appreciated by just 15% over the last 5 years, it has been returning value to its shareholders in the form of dividends and share repurchases. For the current year, Becton, Dickinson & Co. (NYSE:BDX) has a $500 million worth of share buyback program underway with plans to pay around $350-$400 million as dividends (annual). Altogether, the company would be paying out around 80% of its free cash flows, which leave little cash for expansions or acquisitions. Furthermore, the company is currently relying on organic growth that makes it an income growth play but not a value pick. And then comes Baxter International Inc. (NYSE:BAX). 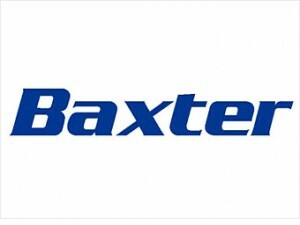 At the current prices, shares of Baxter International Inc. (NYSE:BAX)yield 2.48% with a modest payout of 37.05%. its operating cash flows have risen by 161% over the last 5 years, hinting towards sustainable payouts in the future. Its debt/equity of 0.8 seems high, but it is due to the acquisition of Gambro for $4 billion last year. Gambro manufactures products that are used for dialysis treatment, and has 13 production facilities spread in 9 countries. In 2012, Gambro reported $1.6 billion in revenue with around a 31% margin. As of now, Baxter International Inc. (NYSE:BAX) is yet to reap the financial benefits of acquiring Gambro. The inorganic growth should contribute nearly $560 million (24.3%) to Baxter’s annual earnings alone, but the real growth lies in their joint synergies. Baxter International Inc. (NYSE:BAX) has presence in over 100 countries, and once the operations are merged, it can rapidly expand Gambro’s geographical footprint (9 countries) without regulatory and bureaucratic loops. Johnson & Johnson (JNJ): Will Dividend Growth for This Dividend King Start... Here is What Hedge Funds Think About Becton, Dickinson and Co. (NYSE:BDX) Hedge Funds Aren’t Crazy About Baxter International Inc. (NYSE:BAX) Anymore... Emerson Electric Co. (EMR), Becton, Dickinson and Co. (BDX): An Island of Sanity... Micron Technology, Inc. (MU), Pfizer Inc. (PFE): Whoa! These Stocks Outpaced... Is DENTSPLY International Inc. (XRAY) Going to Burn These Hedge Funds?